*GREAT DEAL! 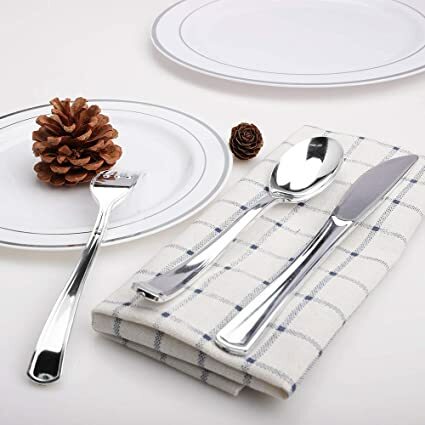 * Amazon – 325 Plastic Silverware Set, Silver Cutlery Heavyweight, Disposable Flatware – 130 Forks, 65 Knives, 65 Spoons, 65 Dessert Spoons just $19.99! PESACH! Great value!! 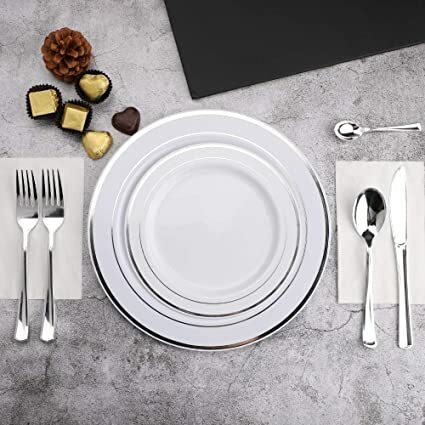 Score the 325 Plastic Silverware Set, Silver Cutlery Heavyweight, Disposable Flatware – 130 Forks, 65 Knives, 65 Spoons, 65 Dessert Spoons for just $19.99 with FREE Prime shipping or free shipping with $35 purchase on Amazon! PESACH!